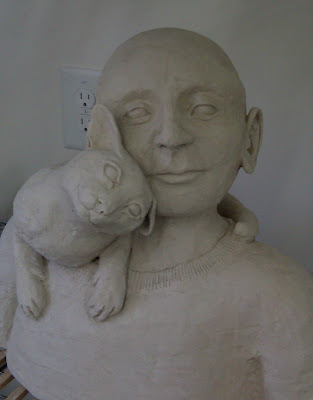 Home » Blog » Newest work–Shoulder Cats!!! Posted by cindy on Mar 22, 2010 in Blog | Comments Off on Newest work–Shoulder Cats!!! Not sure where this idea came from–although my work is getting more serious, I can’t resist the temptation for a little whimsy or the unexpected. Also, we had a sweet little kitty named Puddles who, at 5 pounds, would climb up my leg, etc. and get to my shoulder. There she would ride around while I continued with daily activities. Shoulder Cat 1 (soon to be renamed), bone dry. Shoulder Cat 2 (also soon to be renamed), leather hard. Applying for shows. Getting in to shows. Lots of teaching in the schools. In fact, I am just returning from the Post Office–mailed my application for teaching for two more years. That was a lot of work–included a 10 minute video of me in the classroom. Lots of editing as we recorded parts of three classes. I was glad for that–in one class, someone bumped the camera, so it was moved for much of the time. Don’t you hate when that happens??? I use a Macintosh, so got a few lessons in iMovie and iDVD to get the final version of the video. Big, steep learning curve (for me) there. For the application, we also had to include images of our work and examples of the educational materials we would provide for workshops (one-hour visit with each class) or residencies (multiple visits with each class). Lots of stuff. But now I’ve been doing this for a while and am pleased with my portfolio. I’ve even got a nice slide show of students’ work. But it took a while to create all this stuff in the first place. And to get it all together for things like these applications, since I like to add as much new stuff as I can each time. As with so much of my work, a lot of research is involved. I’ve found many images on the Internet. I even check out Friends of Friends’ Facebook pages, and have written to theses folks to add to my collection of Shoulder Cat images. 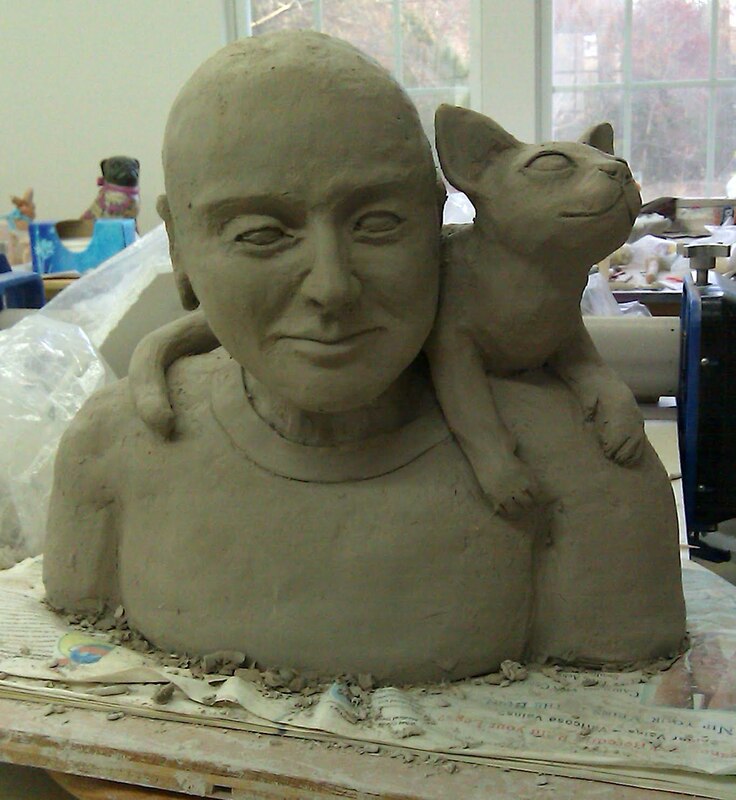 And, I include this for your viewing pleasure, though I don’t think I care to make a sculpture this extensive!